The Other, by Ryszard Kapuscinski, is collection of six lectures written and delivered by Kapuscinski between 1990 and 2004. He was a Polish foreign correspondent who spent a great deal of time in the developing world reporting on the events taking place there. I had never heard of Kapuscinski when this book caught my attention while browsing at the library (although I have a vague memory of seeing the title of one of his other books, Travels with Herodotus, somewhere before, perhaps on a blog). I was intrigued by the subject matter, as “othering” is something I have thought quite a bit about, and I was not disappointed. Kapuscinski draws on his own experiences and various philosophical lines of enquiry both to acknowledge our experience of “the Other” when we encounter someone who is different from us and to make a strong case for recognizing our common humanity as our world becomes more and more globalized and multi-cultural. And so the three possibilities I have mentioned have always stood before man whenever he has encounter an Other: he could choose war, he could fence himself in behind a wall, or he could start up a dialogue. Over the course of history man has never stopped wavering between these options; depending on the situation and culture he makes now one, now another choice; we can see that he is changeable in these choices, that he does not always feel certain, and is not always standing on firm ground. It is hard to justify wars; I think everyone loses them, because it is a defeat for the human being. It exposes his inability to come to terms, to empathise with the Other, to be kind and reasonable, because in this case the encounter with the Other always ends tragically, in a drama of blood and death. These paragraphs immediately resonated with me because it puts in to words something I have felt for a long time, that war represents a human failure. The perspective that Kapuscinski offers is an important contribution to the discussion of peace. The Other is under 100 pages and a quick read. The translation from Polish is good: the language flows easily and it does not feel translated. I highly recommend it! I picked up Seeds of Peace: A Buddhist Vision for Renewing Society, by Sulak Sivaraksa, at a garage sale because it sounded intriguing and I am drawn to books about peace. Unfortunately, I did not get that much out of it. I started it August, but it did not hold my interest that well, so I interrupted my reading of it with The Rabbi. I came back to Seeds of Peace in September because I did want to finish it, but I couldn’t really get in to it. I found it difficult to tell what exactly Sivaraksa was getting at in Seeds of Peace. The chapters felt somewhat disconnected from each other, each one its own self-contained essay. 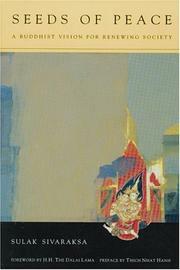 Several of the earlier chapters address specific historical and political events in East Asian. I am not familiar with recent East Asian history and most of the time did not know the context of what Sivaraksa was referring to. This was not really what I was expecting in this book, and I didn’t find it that interesting. The last chapter in the book, “A Buddhist Model of Society,” probably summarizes all of Sivaraksa’s main points and is the closest to what I expected the book to be. Sivaraksa starts the chapter by telling two Buddhist myths, proceeds with a discussion of what the ideal Buddhist society looks like and how the myths illustrate that, and then continues with an exploration of what needs to be done in our society to achieve peace. I found this part mildly interesting but most of what he said seemed similar to other things I have read or thought. For example, he says that we need to curb consumerism, strengthen democracy, and work towards both internal and external peace, all of which I have thought about before. 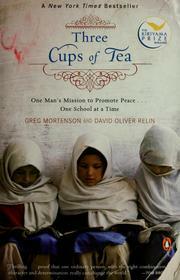 Seeds of Peace has the most non-Western perspective of any non-fiction book I have read. Sivaraksa writes quite firmly from an East Asian perspective when he addresses historical events and politics. He describes Buddhism and the role it plays in East Asian culture from the perspective of someone who is a part of that culture, as opposed to the perspective a Western person might write from. Reading it made me realize how accustomed I am to reading books in which my identity as an American of European descent is taken as a given. I felt more like an outsider with this book and I suspect that this may have contributed to the fact that I did not get as much out of the book as I hoped. It may be a book worth reading again someday. I am counting Seeds of Peace towards the Culture/Anthropology/Sociology category of the World Citizen Challenge. I definitely feel like I got a view into a different culture. It is my sixth book for the challenge but I still have two more categories. You are currently browsing the Musings on Peace blog archives for October, 2009.